Every school in Massachusetts would need to have automated external defibrillators on site by July 2018, under a bill championed by SouthCoast Sen. Mark Montigny that passed the state Legislature Tuesday. BOSTON - Every school in Massachusetts would need to have automated external defibrillators on site by July 2018, under a bill championed by SouthCoast Sen. Mark Montigny that passed the state Legislature Tuesday. Families of children who died after suffering cardiac arrest during athletic events cheered the bill's passage, saying they hoped such a measure would save lives in the future. "We never wanted this to happen to another family. I mean, losing a kid is the worst thing that could happen in your life, so we put all our efforts into trying to prevent this from happening to other families," said Ralph Thibodeau, whose son Josh was 12 when he collapsed during a soccer camp and died on the field. "This is a huge step in the state to put life-saving devices around kids." The addition of an amendment late Tuesday afternoon as supporters were celebrating the bill's progress sparked fears among advocates that the bill would not cross the finish line on the last day of the legislative session, but it ultimately was sent to Gov. Charlie Baker's desk with a final vote in the Senate shortly before 9 p.m.
Montigny, a New Bedford Democrat who filed the original version of the legislation, credited the families' advocacy for raising awareness. "I think it's a legacy for their sons and daughters and a way for them to memorialize them," Montigny told the News Service. "I do think it saves lives, and I think the good news is because the families worked so hard, even in the absence of the law, there's been sort of a guilting and a shaming of those who don't have it." Later, in a statement, Montigny said that "While I am pleased with today's passage, it is unfortunate that it has taken this long for the legislature to act given the lesser concerns of local officials regarding money for such an affordable life-saving device. "Too many families have suffered immense loss and tragedy that could have been prevented with an AED," said Montigny. "Through the courage and persistence of these incredible families it is my hope that this legislation will ensure proper equipment is readily available in all of our local schools." Automated external defibrillators are medical devices that analyze heart rhythms and can deliver electrical shocks that can help the heart reestablish an effective rhythm during sudden cardiac arrest, according to the American Red Cross, which recommends that all Americans should be within four minutes of an AED and someone trained to use it. 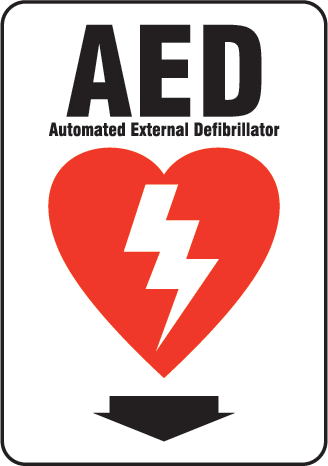 Under the bill, each school will also need to have a person on staff who is trained as an AED provider, and school administrators will need to ensure that an AED and provider are "readily available at any school-sponsored athletic event." "I think because there's been so many tragic events that they certainly have gotten them, but I think this final requirement might push it to the schools that have not gotten it," Perron said. Perron watched the Senate pass the bill Tuesday with the Thibodeau family and other parents of children who died during sporting events, including John and Luann Ellsessar. Two of the Ellssesars' sons died suddenly of cardiac issues - Michael in 2010 on the football field, and Timothy in 2015 while swimming. "It's a magical day here at the Statehouse," John Ellsessar said. He said, "I know my two boys that are home in heaven are smiling." The bill calls on state education officials to make available "a list of grants and other funding sources that a public school may access to facilitate the purchase of AEDs," and Montigny said he thinks schools and districts that cannot afford the devices on their own should have no trouble raising or finding the funds from outside sources. "Probably one of the easiest things that you could do to generate money in a community is if you said, 'We want to hold athletic events, this is a state mandate, and we can't afford this product,'" he said. "Most people, and I mean in small towns, could raise that from bake sales." The Senate passed the bill in July, and the House approved its version in November with changes including the addition of a July 1, 2018 effective date and a provision allowing school systems to apply for a hardship waiver if they cannot comply with the requirements. The Senate then adopted an amendment that struck those changes, removing the waiver language and accelerating the start date to Sept. 1, 2017. The House last Thursday rejected the Senate's amendment, calling into question whether the bill would make it through the process before the end of the term. On Tuesday morning, the Senate backed off its original amendment but adopted a new one less than four hours later. The new amendment, offered by Montigny, removed a requirement that schools who apply for waivers submit an action plan detailing how they will become compliant. Montigny said the branches agreed on the bill's major provisions and that the differences were "not worth losing the bill" over, especially to the families who advocated for it. "It is what it is," he said. "It's part of negotiation. I would have preferred the original language, but nothing in this final language made this anything other than a celebration to the families. They said to me, basically, take the deal."